Fleas are probably the most common ectoparasite (external parasite) of dogs and cats worldwide. In addition to just being a nuisance, fleas are responsible for flea allergy dermatitis (FAD) in dogs and cats, which is estimated to account for over 50 percent of all the dermatological cases reported to veterinarians. Ticks are also ectoparasites. Ticks are important vectors of a number of diseases, including Lyme disease. Ticks are second only to mosquitoes as vectors of human disease, both infectious and toxic. Control and prevention of ticks is extremely important in reducing the risk of disease associated with ticks. Parasites can infect your pet any time of year. While external parasites, such as fleas and ticks, may be less of a problem during certain times of the year, depending on where you live, internal parasites (worms) can be present year-round. That’s why it’s important to consult with your veterinarian to implement a yearround parasite control program. Why should I control parasites for my pet year-round? Due to the large number of internal and external parasites and the high risk of pet infection, controlling parasites year-round is the most reliable way to ensure the highest level of health for your pet and well-being of your family. 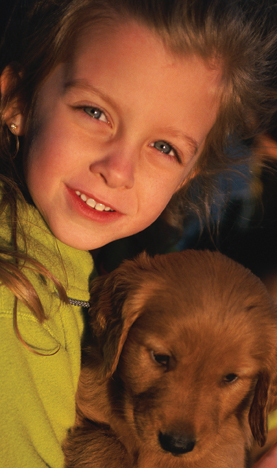 Year-round prevention is the most effective way to control cat and dog parasites and the diseases they can carry. People think their pets are safe during the colder months, but pets are susceptible to flea and tick infections at all times of the year. And regardless of the weather, many of these pests can even survive in your home – in carpeting, on furniture and in the bedroom. Do fleas on my pet present a health risk to my family? Yes. Fleas can carry and transmit several potential illnesses of importance to humans, including typhus and plague, and can transmit “cat scratch disease” (infection with Bartonella) among cats who can then spread the disease to humans. Additionally, fleas serve as an intermediate host for tapeworms, which can infect your pet and occasionally humans. What human-health problems are associated with ticks? Ticks transmit a large number of diseases in North America. These diseases include Lyme disease, Rocky Mountain spotted fever, relapsing fever, ehrlichiosis, tularemia and tick paralysis. It is important for the health of your pet, as well as the safety of your family, to include ticks in your pet’s year-round parasite control program. What if my cat never goes outside? Indoor cats have less chance of acquiring fleas and ticks, but they should be regularly checked, just in case. Other pets and/or family members can be hosts for fleas and ticks (on pant cuffs or socks) and bring them home to your indoor cat. Tips to protect your family and your pet. Have your pet tested regularly (at least once a year) for parasites by a veterinarian and administer year-round preventive medications to control internal parasites that present a risk to your pet and your family. Vector-borne diseases are those transmitted by fleas or ticks (among other parasites) that infest dogs and cats. They can affect pets and people. Ticks can transmit a large number of “vectorborne” diseases in North America including ehrlichiosis, Lyme disease, relapsing fever, Rocky Mountain spotted fever and tularemia. The Companion Animal Parasite Council (CAPC) is an independent council of veterinarians and other heath care professionals established to create guidelines for the optimal control of internal and external parasites that threaten the health of pets and people. It brings together broad expertise in pararsitology, internal medicine, human health care, public health, veterinary law, private practice and association leadership.